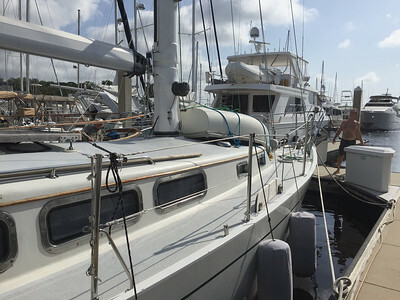 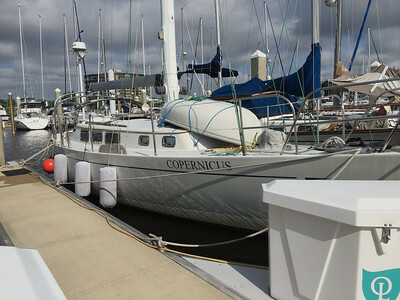 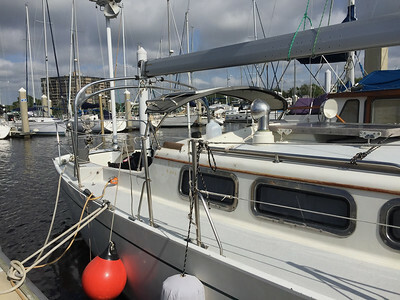 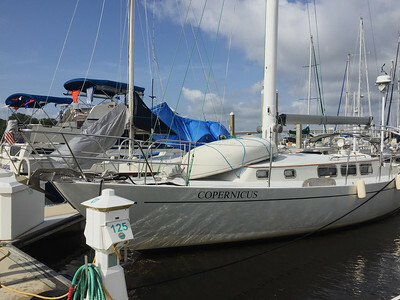 In a little less than a month, we settle Copernicus into the marina and decommissioned her for the hurricane season. 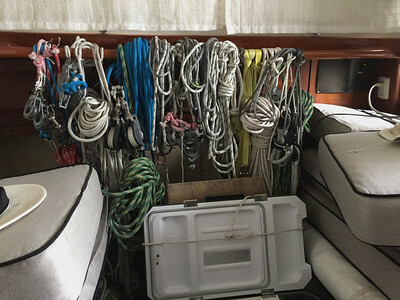 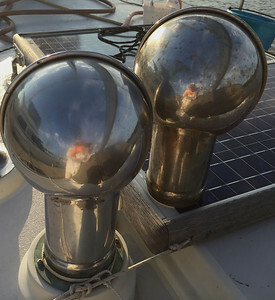 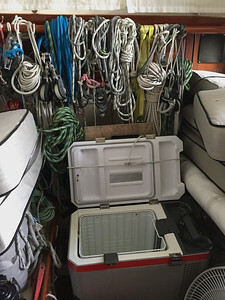 All lines down, halyards replaced with messengers, unbend sails, lots of lines to docks and pilings, etc, etc. 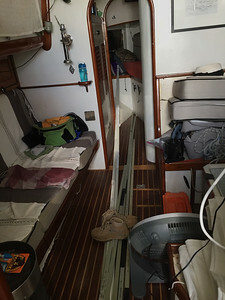 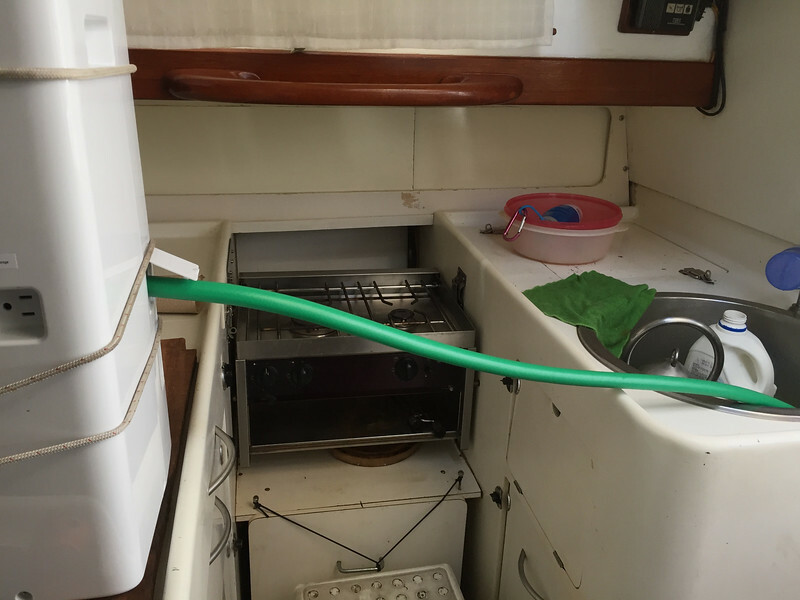 Winches covered, mast boot redone and rain cover on windlass.